Belcam has crafted a perfect bath experience for you with its Belcam Dee-lish 3 in1 Body Wash, Bubble Bath and Shampoo! Aloe vera is extensively used in beauty products and for its multifarious skin and hair care benefits. 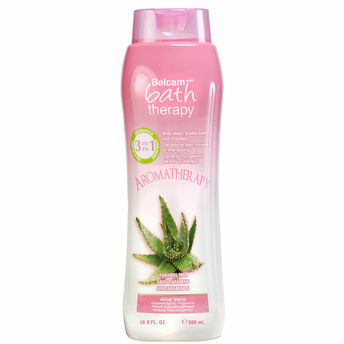 Belcam has formulated this bottle of wellness with all the goodness of aloe vera. It has got antiviral and antibacterial properties which help treat almost everything. It is a convenient and economical three-in-one body wash, bubble bath and shampoo. Why carry and store three bottles when one is enough to solve all your bathing needs? Buy smart, smell good and feel fresh!